You can’t think about Florida without also thinking almost immediately about the city of Miami and Everglades National Park. They both help define the overall flavor and experience of the state itself. 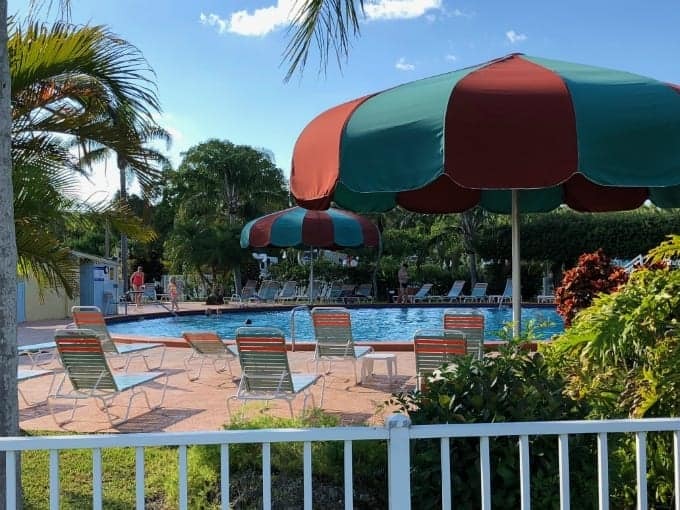 So when we started searching Miami RV parks, we came across the chance to stay at an RV resort that sits right between these two iconic Florida destinations and we couldn’t pass up the opportunity. (Note: It’s also only about 30 miles from Key Largo. Just saying…) And as it turns out, we would have truly regretted passing it up! Miami Everglades RV Resort is quite simply a tropical camping paradise and a true gem of southern Florida. Avacado, mango and palm trees surround the park’s lush 34 acres and the 490 RV and tent sites and multiple rental cottages it boasts. And as a bonus, you can regularly see skydivers dropping out of the sky and landing just behind the park. I could actually hear their parachutes opening they were so close. How cool is that??!! It’s also worth noting that, not surprisingly, the park was voted “Best Campground in Miami” in 2010. And from what we experienced during our stay, there’s no reason it shouldn’t earn the same recognition for 2018. Out of all the RV parks we have stayed at in the last 10+ months traveling this great continent, Miami Everglades RV Resort easily sits in the top three. From the moment we glimpsed the pristine and tropical entrance of the park, we knew we were in for a top-notch stay. We were greeted at the office by a friendly employee and promptly escorted to our site. 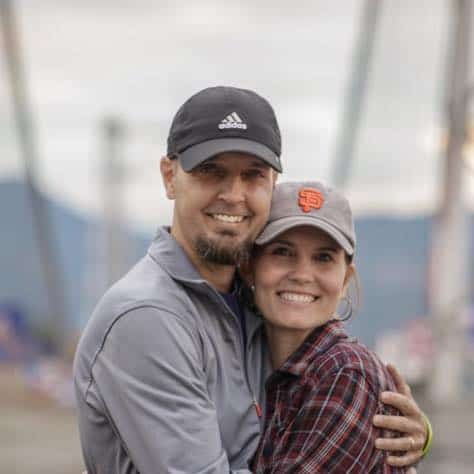 After getting our RV all set up in the shade of a beautiful tree near all of the amenities, we headed out to get a taste of everything available to us in the resort. Now, we have seen some campgrounds with multiple amenities and recreational opportunities on several occasions. But I’m pretty sure Miami Everglades takes the cake when it comes to the quality and condition of the amenities. From the ping pong and pool tables in the clubhouse to the spotless pool and 18-hole mini golf course, everything we saw appeared to be truly cared for, not just “maintained”. From our travels, I can tell you that this combination is extremely rare to find. Normally, we see places with a few amenities that are well-cared for or we see places with a larger number of amenities that are in average or below-average condition. 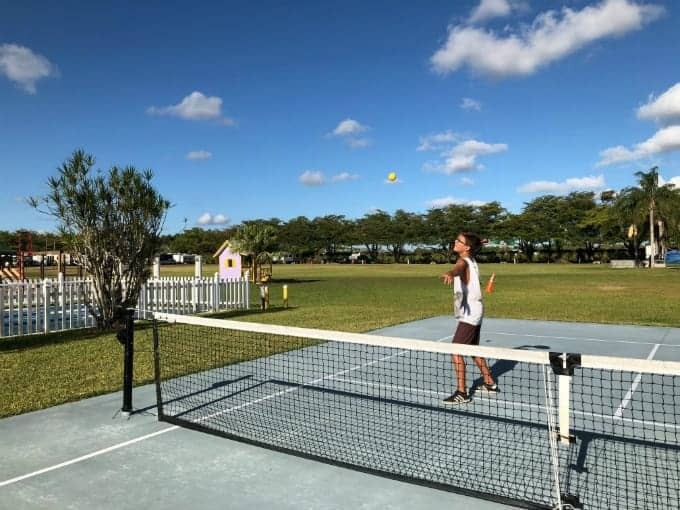 We were honestly very pleasantly surprised to see a pickleball court, shuffleboard courts, basketball court, firepit, pool, and spa (on top of the ping pong and pool table I mentioned) that seemed to be in like-new condition. And we decided we had to try out each one just to make sure! 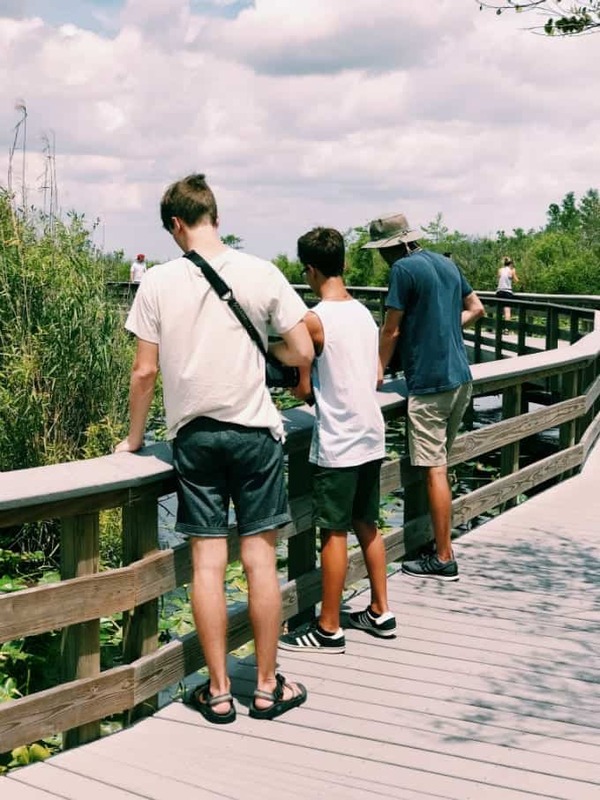 As if all of that wasn’t enough to keep us occupied, we also had the chance to explore Everglades National Park for the next couple of days. The drive to the Ernest F. Coe Visitor Center entrance on the east side of the park is only 30-35 minutes from the RV resort. This makes for a great half-day or full-day outing. We had never experienced anything like the Everglades, that is for sure! 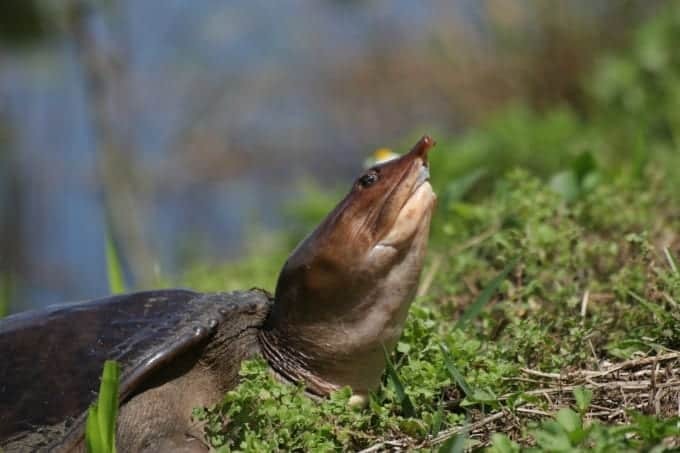 It was a whole new adventure for us as we stood just feet from multiple alligators, crocodiles, manatees, heron, osprey, roseate spoonbills, white ibises, softshell turtles and more additional species than I could possibly list here. It was stunning! Our eight hours or so we spent in the park allowed us to see countless species across at least seven different ecosystems, from Mangrove to Coastal Prairie to Pineland. Amazingly, the park actually boasts nine ecosystems altogether. 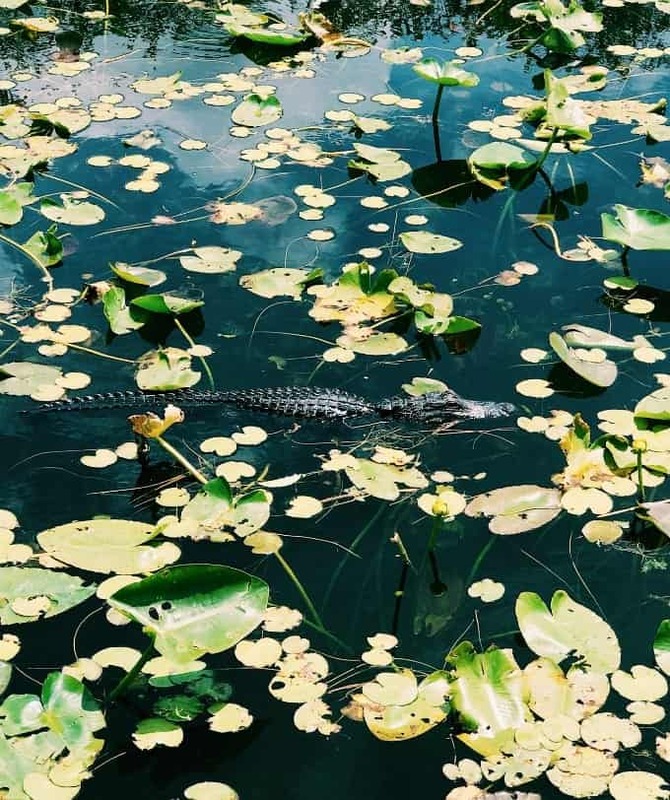 In some ways, it felt like that trip to the Everglades took us across multiple states because of the extreme diversity of landscape and wildlife we experienced and captured in photo and film. On our last full day in the park, we decided to head into the heart of Miami (about 45 minutes away) and get a taste of the culture and diversity of this sprawling metropolis. I have to say that the skyline of Miami, with more skyscrapers than we could count, really surprised us. I honestly don’t remember the last time I saw such an expansive skyline. 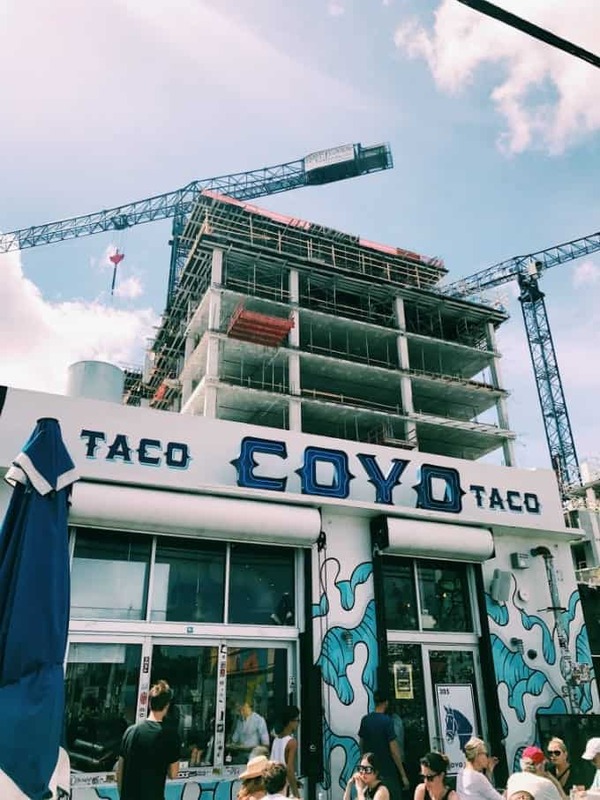 We headed straight to Coyo Taco in the Wynwood district of Miami because their tacos came highly recommended by multiple friends. Let me tell you: they did not disappoint! 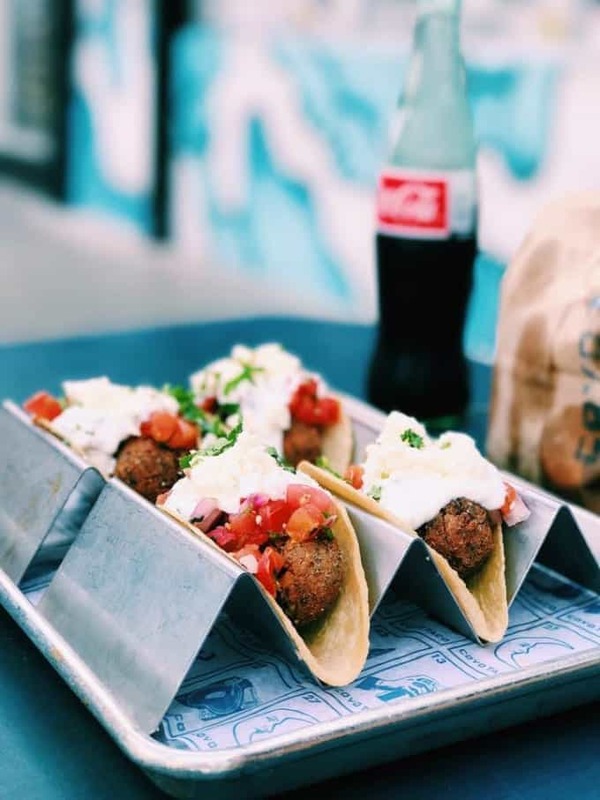 From my Al Pastor pork tacos to Julie’s Pescado local fish tacos to the boys’ quinoa tacos, they all made our taste buds dance. And we finished it off with a necessary order of fresh and hot churros! Heck yeah. 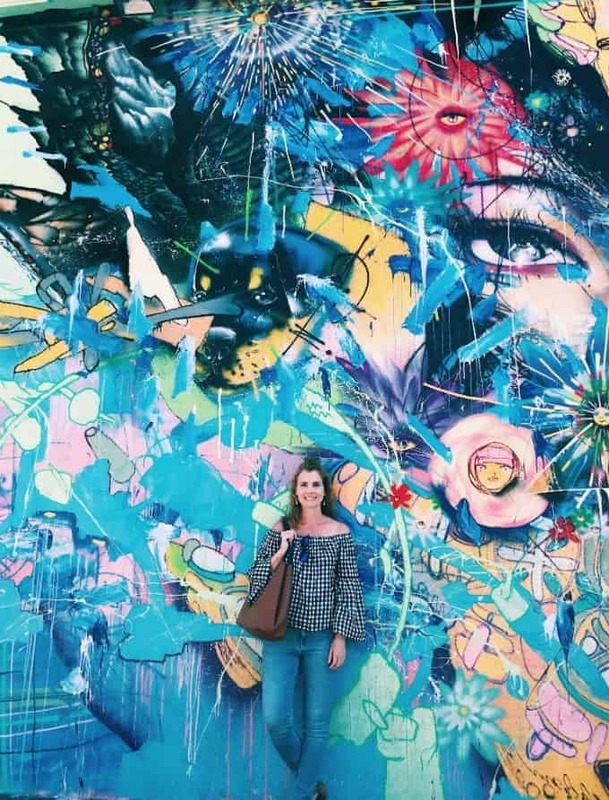 Just a couple of blocks down the main road from Coyo sits Wynwood Walls, the largest outdoor display of “street art” in the nation. The art on display in this few city blocks is from some of the best-known street artists in the world. It is really something to behold, with every type of art you can imagine represented. We had a really hard time deciding to stop snapping pictures and head back to the RV park after a couple of hours. Obviously, our visit to Miami Everglades RV Resort, and the sights and scenes nearby, was an extremely enjoyable and eye-opening week. Five nights was not enough to fully explore everything we would have liked to in the area, but this location was absolutely ideal for all of the exploring we were able to enjoy. 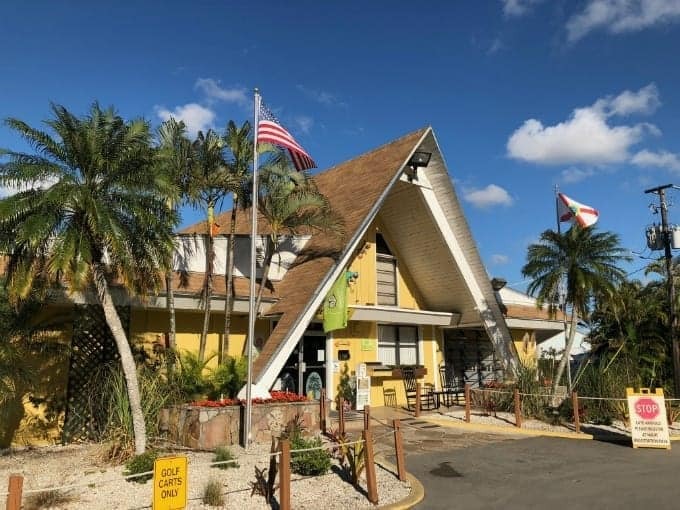 Without a doubt, you should choose a stay at Miami Everglades RV Resort if you are visiting the area. If you don’t own an RV, definitely check into their cabin rentals as a fantastic alternative to a cold and stale hotel room. Next time around, we just might have to try that out for a couple of nights as well. To book your stay, just head over to RVonthego.com and let them know that Todd and Julie at Trekkn.co sent you!